I keep the second seats folded down, with a liner in the back—lots of room. The air conditioning is not the best. It does not circulate well, in the front seats or (especially) for the back seat. I do not love the options for the windshield wipers. They seem to be either too fast or too slow. There is a “handy” cup holder on the left side of the dash for the driver. However it is directly in front of a heat/cool vent. It blocks the heat/ac, and it affects the temp of the beverage in that cup. Small car with comfort of SUV. This small car is perfect for city living. It is great on gas and can park easily in most places. The seats are comfortable and the car is easy to use. I have not experienced any problems with this model, and this is my second one. Though it is a small car I have always felt very safe. I'm in love with my Honda fit it gives me the best gas mileage super comfortable and spacious, it's perfect for any sort of road trip. The back can be completely flat by putting the seats down for when you're moving out, grocery shopping or bringing your bike along. 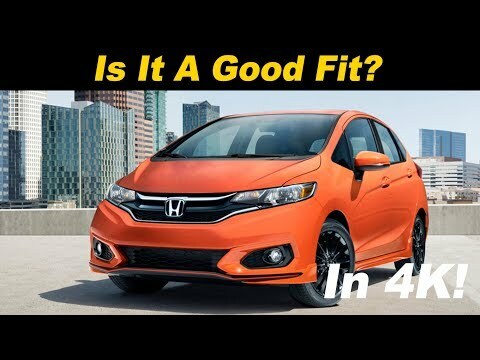 2019 Honda Fit: FULL REVIEW | Most Versatile Car for Under $20K? ?